Now get free wishes and share your feeling and temperament to your friends and family in single click using wishapp. 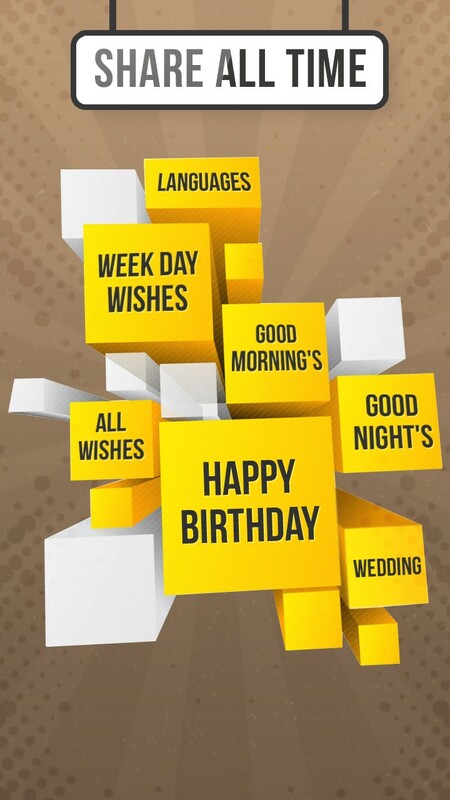 wisahapp providing 100+ categories completely different categories like Good Morning Quotes and Wishes, Inspirational Wishes, Happy Birthday Wishes, Scientific and Universal Facts, Beautiful wallpapers, Motivational Thoughts, Quotes and Pictures, Inspirational, Motivational, Success and Health Tips, Friendship, Tips & Facts , Positive Thinking, Attitude, Trust, Perseverance, Persistence, Relationship, Purpose of Life. In every category you'll get many custom desires pictures with quotes, Cute animated pictures, GIF pictures and text messages that you simply will share in single click on social media network like WhatsApp, Face book, Twitter,Etc. Share images, Gifs, videos on days such as celebrities’ birthdays, special days, or one as may be declared. 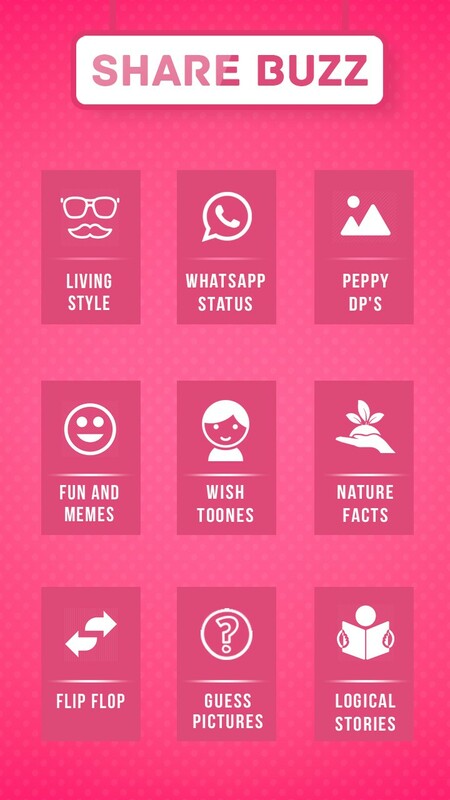 Wishapp is available not only in English but in Hindi, Kannada, Malayalam, Tamil, Telugu and Urdu as well. Read and share jokes, humorous quotes & memes. We’ve a big list of best jokes humorous exclusively for you to enjoy and share! Gifs that you’d like to share for any occasion. Look out for high quality videos to share for inspiration and conveying your wishes. Share tips on different things such as beauty, fitness, hair care tips and many more. Know mind-boggling facts – you cannot afford to miss. Share with friends, followers, relations. 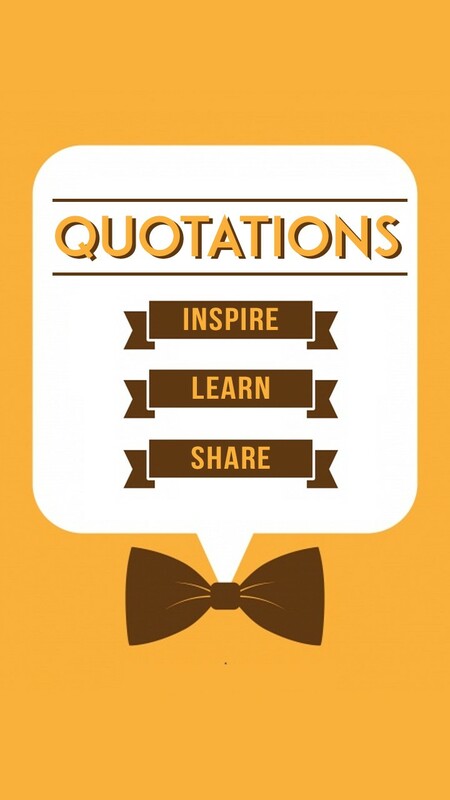 Read quotes that inspire you to share. Quotes by great people – leaders, scientists, and the list goes on. Know the rare information you never had or wondered you had them. Expand your awareness on a range of issue and share it among your friends, relations and followers. Download high quality Wallpapers and DPS for your Android smartphone/tab. Test your knowledge, IQ and memory – make your mind sharper. Share to let others try. 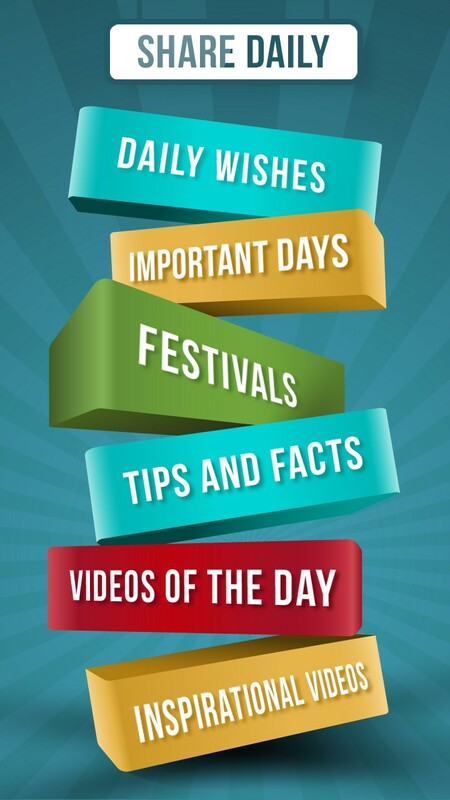 Play Wishwheel and win gifts – wishes in images, videos and Gifs. Look for updates, images, vides, Gifs, data and son a wide range of contemporary interest that you’d never miss to share. Get reminder to share your image or Gifs with your friends and followers. Wish Bank, a Wishapp - a sharing app feature that enables you to save the images with wishes you like and to use them later. The user can reach anywhere in Wishapp by just touching the search button – the side menu will appear and you look for screen where you wish to go. Share your wishes, thoughts with your dear ones in images, videos and Gifs. Wishapp is an app that aims to lessen the distance among people in today’s world - relations, family, and colleagues and beyond. First of its kind on the Internet, Wishapp seeks to bring out a balanced human relationship environment by making a positive impact and remolding the minds of all.